This fashion blogging forum member shares some outfits and style inspirations. This Polish fashion lover displays the style formula that works for her. Forum member frickys wears her clothes in creative ways and has a thing for statement jewelry. 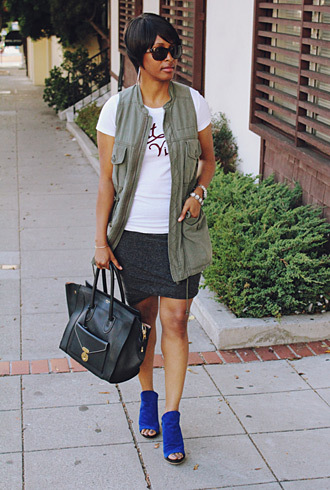 Forum member juneping shows off her quality vs. quantity street style on a budget. See forum member kimair’s unexpected pairings and find out what inspires her style. Forum members try out some styles that are casual, but not too casual. Forum members piece together their summer ensembles. 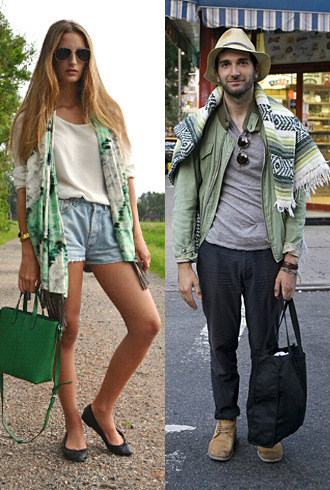 Forum members put their own spin on similar looks. Forum members explore the virtues of chambray, denim, and the many shades of blue. This week, TFS forums members skipped trendy neons in favor of more classic color combinations. Fashionable forum members show off their varied summer stylings. Pants with heels make the perfect spring styling combo. Forum members mix stripes and prints with solids. Forum members show off loosely layered looks for spring. Forum members make the most of their day-to-day styling. Forum members try out trendy yellow and fall back on basic black. Forum members try to keep their style interesting. Forum members wear statement-making pieces that stand out. Forum members supplement their height with heels. Forum members go against the grain with their personal style.